Spain paper, El Pais, of 4 September 2013:8, reports of former German cook for Jewish Sonderkommando, Hans Lipschis, now in prison for cooking. History is being made, as Stalin even denied there was a kitchen at Auschwitz Vomitorium, and to hide it, had it painted over from white to black. 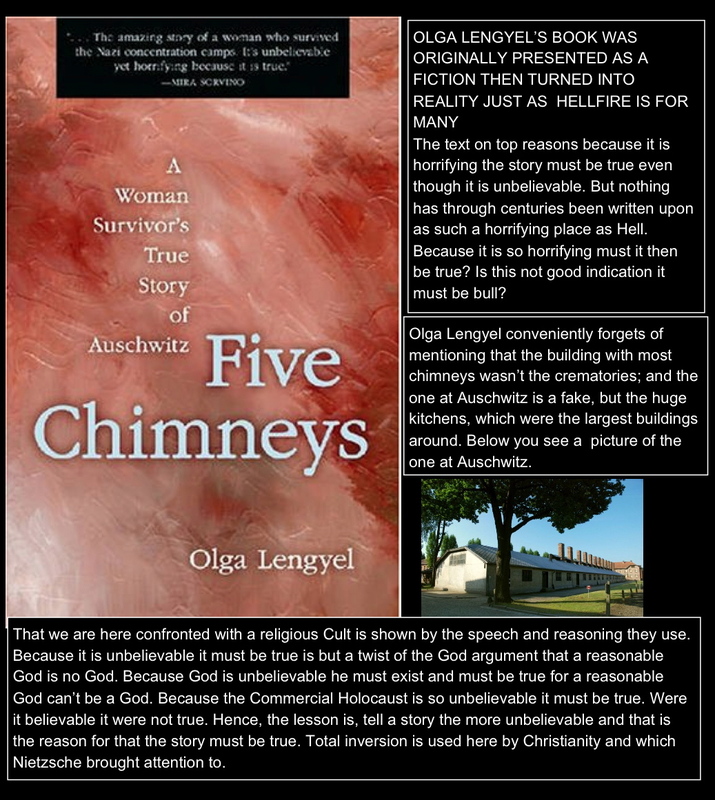 The matter of the huge kitchen at Auschwitz Relief Camp, the largest building INSIDE the camp, was first reported at the Ernst Zundel-versus Canada trial in 1985. It was there, also for the first time, when the competition Swimming Pool at Auschwitz became discussed. According to the paper the charges are made by Director, Kurt Schrimm of Zentrale Stelle der Landesjustizverwaltungen zur Aufklarung nationalsocialistischer Verbrechen in Ludwigsburg. It is accused of secretly helping in shipping Nazi Collaborator and Genocide Serial Killing Ethnic Cleansing Sicarii Jewish Sonderkommando, Filip Muller, to West Germany, in a deal with Communist DDR, where Filip Muller was in danger of being lynched for his collaborations with the Nazis and responsible for the Stalin Four Million Martyrs at Auschwitz Relief Camp. Once inside West Germany, self-confessed Serial Killer, Filip Muller, of which even a book is written, got a huge pension, a plush home and all the luxuries the West German corrupt State could shower upon him. Interestingly enough, Nazi Collaborator and Serial Killer, Filip Muller, got his food from cook Hans Lipschis. Previous Previous post: Who was Hans Lipschis of Auschwitz Relief Camp? it might not be a taboo matter but typically people do not talk about these topics.